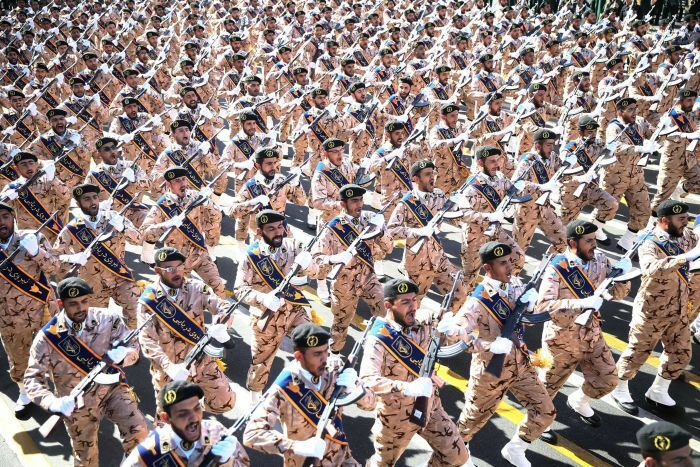 US President Donald Trump now considers Iran’s elite Islamic Revolutionary Guard Corps (IRGC) a terrorist organisation, marking an unprecedented foreign policy step that raises the stakes of the US-Iranian relationship. It is the first time Washington has formally labelled another country’s military a terrorist group. “The IRGC is the Iranian government’s primary means of directing and implementing its global terrorist campaign,” Mr Trump said in a statement. Tensions between the two countries have grown since Mr Trump pulled the United States out of a 2015 nuclear deal with Tehran last May and reimposed sanctions that had crippled Iran’s economy. He said the accord did not address Iran’s ballistic missile activity or what he saw as its malign influence in the region. Set up after the 1979 Islamic Revolution with the mission of protecting the Shi’ite clerical ruling system, the IRGC is Iran’s most powerful security organisation and has a huge influence in its political system, controlling large swathes of the economy and the armed forces. 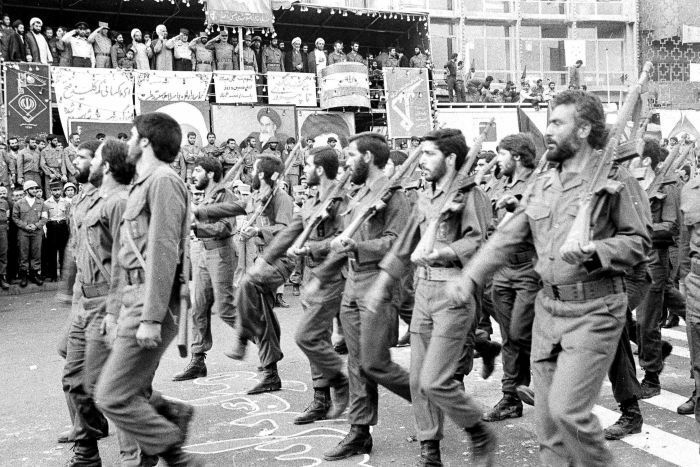 From its domestic beginnings, the revolutionary guard has since become a transnational fighting force. Those who do business with the Guards could now receive up to 20 years in prison and be barred from entering or doing business in the US. The action “makes crystal clear the risks of conducting business with, or providing support to, the IRGC,” Mr Trump said. Critics have warned that Mr Trump’s action could open US military and intelligence officials to similar moves by unfriendly governments. 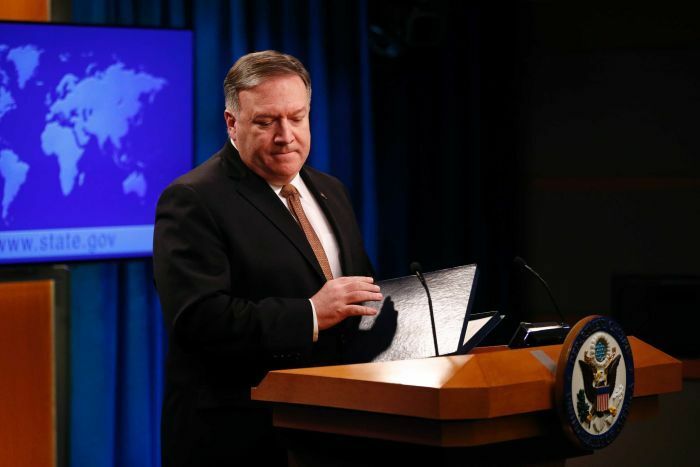 Secretary of State Mike Pompeo, a strident critic of Iran, has pushed for the change in US policy as part of the Trump administration’s tough posture toward Tehran. The US action against the entire IRGC had been debated in the Trump administration for months as Washington sought additional ways to pressure Iran and curtail its growing influence in Syria, Iraq and Yemen. “This designation is a direct response to an outlaw regime and should surprise no one,” Mr Pompeo said. The State Department said that the Guards have been engaged in terrorist activity since the group’s inception, including the 1996 Khobar Towers bombing in Saudi Arabia that killed 19 Americans, and a foiled plan to attack the Saudi ambassador to the United States on US soil. Some critics of the Trump administration’s move believe it was timed ahead of the Israeli election. Iran and Israel are increasingly at odds with each other, particularly in Syria where the Revolutionary Guards’ Quds Force has helped President Bashar al-Assad gain the upper hand in a civil war. Iran said that Washington’s designation of its elite Islamic Revolutionary Guard Corps as a terrorist organisation could endanger peace and stability in the Middle East and beyond, state TV reported. Tehran also took retaliatory action by naming the United States Central Command (CENTCOM) as a terrorist organisation and the US government as a sponsor of terror. “This unwise and illegal measure is a major threat to regional and international stability and peace… Iran labels the American regime as a supporter of terrorism,” Iran’s Supreme National Security Council said in a statement. Iranian authorities have said the decision is a great mistake that will endanger US interests in the region, where Iran is involved in proxy wars from Syria to Lebanon. Iranian Foreign Minister Mohammad Javad Zarif said on Twitter that the move was aimed at securing the re-election of Israeli Prime Minister Benjamin Netanyahu. Iranian Revolutionary Guards commanders have repeatedly noted that US bases in the Middle East and its aircraft carriers in the Gulf are within range of Iranian missiles. Iran has threatened to disrupt oil shipments through the Strait of Hormuz in the Gulf if the US tries to strangle Tehran’s economy by halting its oil exports.